To my knowledge, there isn’t another group that has done this extensive of a dive into the Longrow 18 line-up. I’ve seen people and groups do two or three releases, but I can’t find anyone who has done the ’12 – the ’17 and the original ’08 release all at once to compare and contrast side-by-side. This was a once-in-a-lifetime experience. 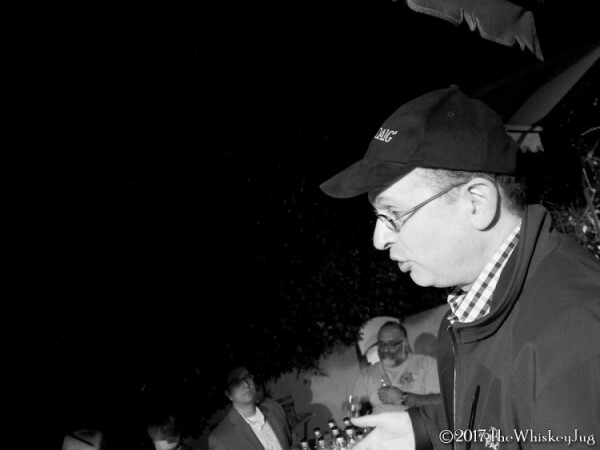 Per usual everything was blinded, there was Kosher food available and the group was in a jovial mood as we eyed the paper-wrapped line-up. 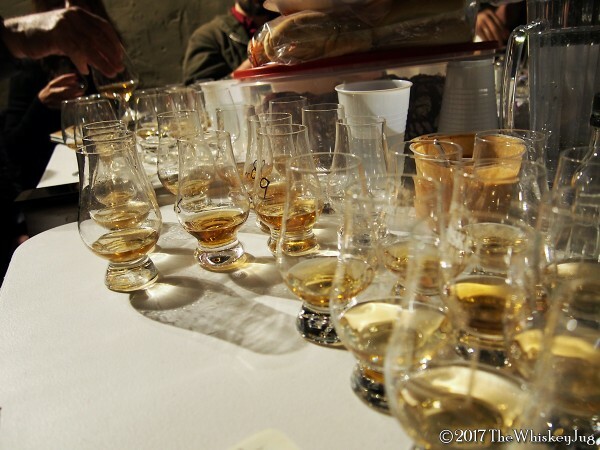 We’re all fans of Springbank and Longrow so there was a lot of anticipation for this tasting. Since it was all about these releases it was all done as one round so no breakdown needed. Two quick notes before we jump into the Malt Nuts Longrow 18 Vertical Tasting. 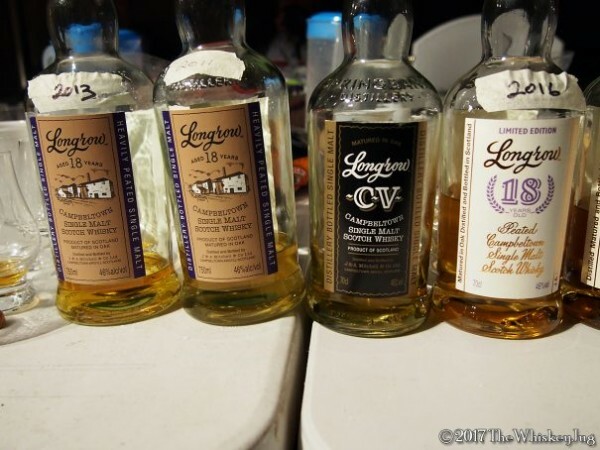 There were no Longrow 18s released in ’09 and ’10 which is why it jumps straight to ’11. The 2012 wasn’t included because it’s a heavily disputed year, wasn’t well distributed and is thought to be mislabeled Longrow 10. Now, let’s get into it. Nose: Orchard fruit, char, red licorice, anise, honey, malt, spice and herbal. Palate: Char, oak, red licorice, smoke, cinnamon, honey and herbal. Finish: Long -> Smoke, licorice, malt and fruit. 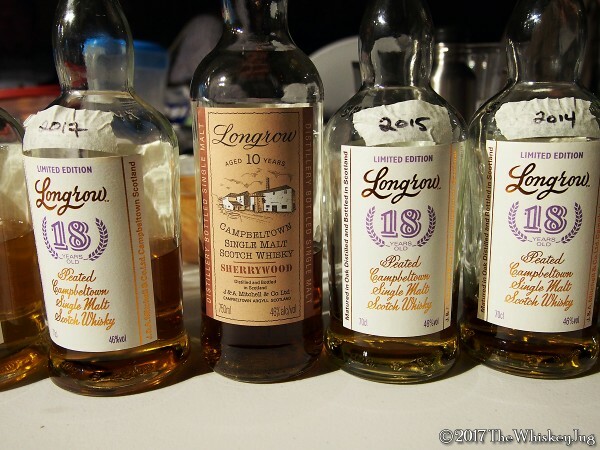 Overall: B (83-86) Tasting this was only the second time I’ve had Longrow 18 and to be honest I’m a bit underwhelmed based on its reputation. I mean it’s a good whisky and I would happily drink this anytime, but it just didn’t “hit” for me. But hey we have 9 more to go! Nose: Vanilla taffy, orchard fruit, malt, honey, toffee, char and slightly musty. Palate: Orchard fruit, malt, honey, toffee, cinnamon, herbal and cocoa. Finish: Long -> Char, cinnamon, malt and orchard fruit. Overall: B (83-86) Solid malty dram. Nose: Smoke, vanilla, honey, caramel, powdered sugar, char and orchard fruit. Palate: Smoke, vanilla, honey, caramel, powdered sugar, fruit and spice. Finish: Long -> Smoke, fruit and cocoa. Overall: B- (83-86 ) It’s not well balanced, some air and water brings out more spice and sweeteness, but doesn’t “cure” it of its ails. Nose: Licorice, honey, malt, vanilla taffy, cinnamon, toast. Palate: Honey candy, malt, spice, toffee, nuts, wax. Finish: Long -> Smoke, candy, malt, toffee, fruit. Overall: B (83-86) A good malty dram with a bit of smoke and fruit sweetness playing off of each other. This is the first one I was tempted to give a B+ to, but it missed the depth needed. Nose: Char, spice, wax, apricot, peat, sherry sweetness, minerality, oak, orchard fruit. Palate: Sherry, smoke, char, spice, wax, toffee, oak, fruit and herbal. Finish: Long -> Smoke, fruit, malt and oily spice. Overall: B (83-86) Decent whisky with some great sweet notes coming through but it’s not fully balanced and missing a bit of depth. Feels really topical. Nose: Sulfur, spice, funk, bubblegum, sour fruit. Palate: Sulfur, sour fruit, bubblegum, raw sugar, nutmeg and char. Finish: Long -> Smoke, oil, sour fruit, sulfur. Overall: C- (70-72) I like a bit of sulfur in my whisky but this is ridiculous, it’s a huge sulfur bomb and both water and time didn’t do anything to diminish it. Maybe in a couple of months it will blow off a bit, but right now it’s not something I want to drink at all. Nose: Orchard fruit, malt , citrus, spice, honey and a touch herbal. Palate: Orchard fruit, malt, citrus, honey, herbal and bubblegum. Finish: Long -> Orchard fruit, spice, citrus, toffee and soap. Overall: B (83-86) Crisp malty whisky that opened with time. Decent and creeping towards a B+. 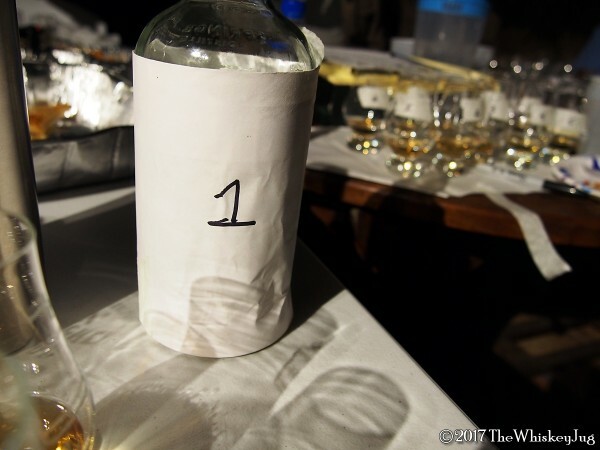 Palate: Malt, sherry, smoke, cinnamon, oak, sulfur, spice and herbal. Finish: Long -> Orchard fruit, smoke, spice and dark fruit. Nose: Honey, toffee, orchard fruit, malt, brulee, cinnamon and spice. Palate: Fruit, toffee, orchard fruit, brulee, cinnamon, herbal and char. Finish: Long -> Char, cocoa, oil and fruit. Overall: B (83-86) It’s alright. Kind of a standard tasting malt and only a wisp of smoke. Nose: Super sweet. Sugared cherries, cinnamon, bubblegum, Dots candy. Palate: Dots candy, cocoa, cotton candy, smoke, cinnamon, fruit and toffee. Finish: Medium -> Candy, cocoa, spice and smoke. Overall: C+ (77-79) It’s all sweetness, just one candy note after another. Definitely not my thing, wow it’s sweet. Sometimes legends live up to their status and sometimes they don’t. This is a case where they don’t except for the 2014 which is great and easily the best Longrow 18 of the bunch. The price you pay for what you get, to me, is way off but I’m happy I got to do this. 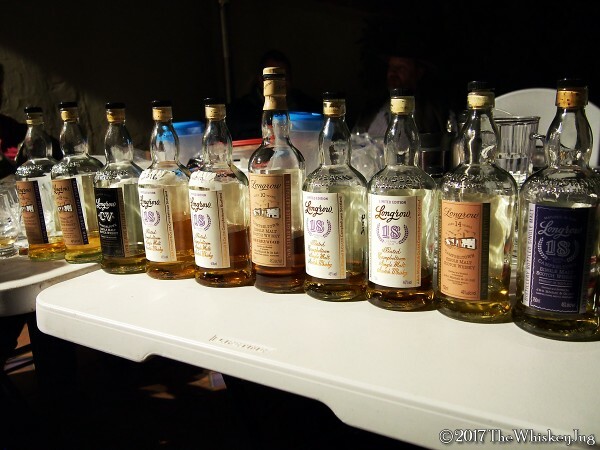 For the entry price of a single bottle of Longrow 18 I got to taste nearly all of the previous releases letting me know I never need to get a bottle again… except for that 2014. Side note: There was a tiny miscommunication with the labeling of the bottles (double blinded so even Barry didn’t know what was what till the reveal) so each bottle has a number and a letter. That really only pertains to fellow Malt Nuts who were also taking notes and wanted to compare and only noted numbers or only noted letters. I have you covered either way! 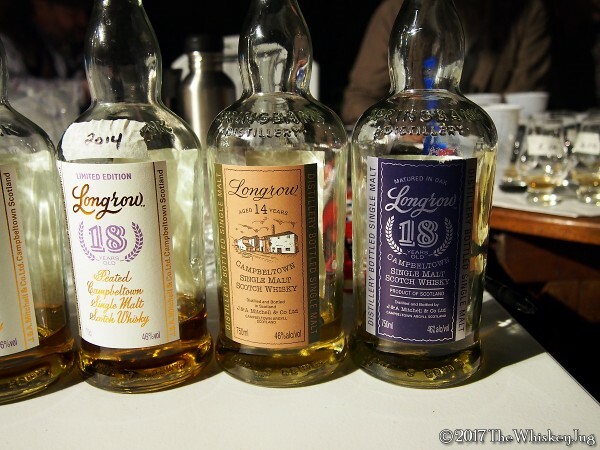 The post Malt Nuts Longrow 18 Vertical Tasting appeared first on The Whiskey Jug.